You must apply for a KY driver's license in person at a circuit clerk's office. You will need to first hold a driver's permit before you can apply for a driver's license. You will need to pass a vision test and road test, and pay the required licensing fee. 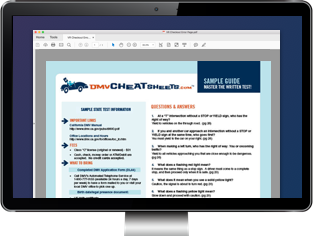 This page will give you all the information you need to obtain your first Kentucky driver's license from the Division of Driver Licensing (DDL). NOTE: If you're younger than 18 years old, you will need to complete the graduated licensing program. If you have a driver's license from your previous state, you have 30 days from when you become a resident to transfer it over to Kentucky. If you're younger than 18 years old, follow the instructions on our Teen License page. NOTE: You must be at least 16 years old and a U.S. citizen (or permanent resident) to apply. Submit a completed Driver License ID Card Application (Form TC 94-30). If your current name is different than your birth certificate, you'll need to present proof of the legal name change (e.g. marriage certificate). Provide proof of your name change, if applicable. Pass the written and vision tests, if your driver's license has expired. Provide your driving record or clearance record from your previous state, if your driver's license has been expired for 1 year or longer. Pay the required fee (contact the KY DDL for more information). NOTE: If your driver's license is from another country, you will need to pass the vision, written, and driving tests. To help you prepare for the written test the DDL suggests studying the Kentucky Driver Manual. If you're really serious about passing the exam on your first attempt, try an online practice test from our certified partner. They guarantee your success. The Kentucky Transportation Cabinet issues various types of driver's licenses depending on the type of vehicle you will be operating. Operator's license (Class D): For the operation of regular non-commercial vehicles. Driver's permit: Allows you to practice driving while supervised. Commercial driver's license (CDL) (Class A, B, or C). 180 days, if you're younger than 21 years old. 30 days, if you're 21 years old or older. Not currently be suspended from driving in any other state. Name and date of birth (i.e. birth certificate, valid U.S. passport, etc.). Social Security number (SSN) - Bring your Social Security card for verification. Contact the Kentucky circuit clerk's office for a list of accepted documents. Pay the required fee (contact the Kentucky DDL for information). Check with your local KY circuit clerk for driving test schedules and to make an appointment. You will need a score of 80% on your test in order to pass. If you are involved in a collision or commit any type of traffic violation, you will receive an automatic fail. If you fail your road test, you will need to wait 7 days before you can attempt it again.